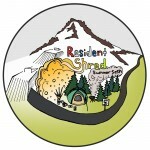 Resident Shred 2012 was a success. 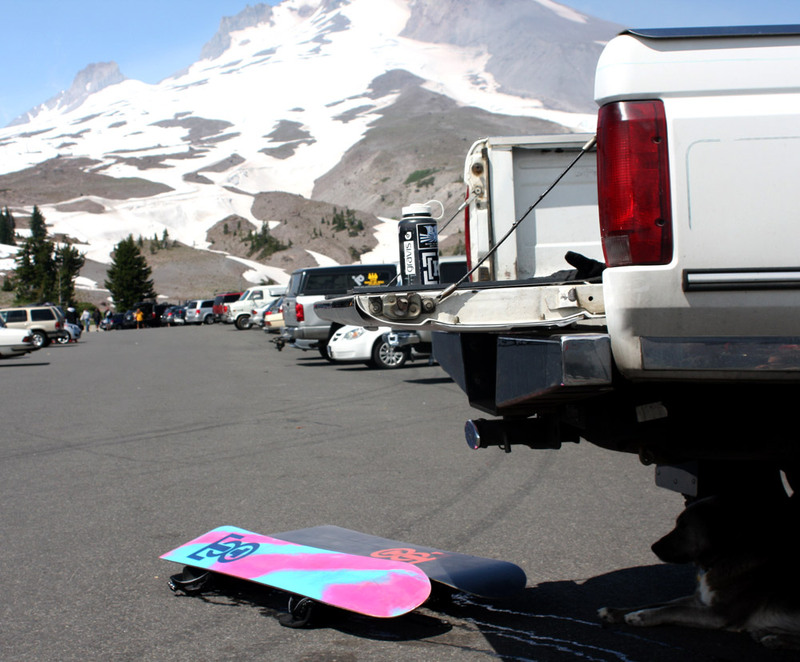 The idea was a two day shred sesh at Timberline in mid July, a little camping and abundant sunshine. Kelso, Kelsey and I rode with two different crews during two sunny days riding the Timberline public park. The snow had been melting fast and the halfpipe, feeling the affects, had been half dismantled the day before our Saturday on the hill. 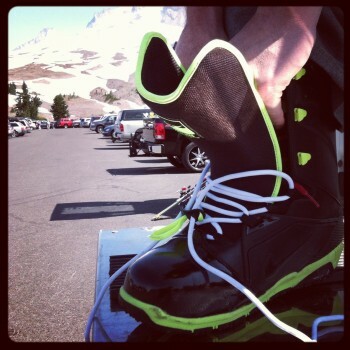 The hot July weather also made for an unstrap and walk a few hundred feet to the lift each run. Up higher on the glacier, the salted snow was in great shape and really fun to ride. I don’t know if it’s the hot weather and snow combo or just snowboarding itself that makes summer riding so awesome. It takes motivation to skip out on the beach and drive to the mountain only to cough up $58 for a lift ticket. The effort is well worth it though. Every time I do it, I get the hook and only want more. The public park had a long quarter pipe (the halfpipe remnants), a three jump line and then a mellow double jib line to round it out. Ben, CJ and Aaron rode day one. Ladd and friend Anthony, Daley and Dylan joined us for some camping and day two of riding. 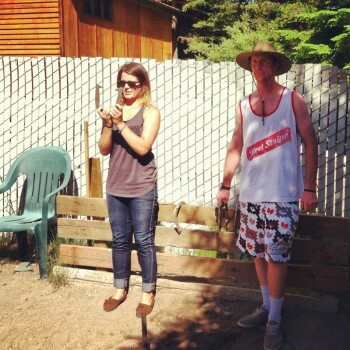 A skate comp at Windells and a horseshoe game at Charlie’s kept us entertained in between days on snow. Resident “whirlwind of activities” was more like it. 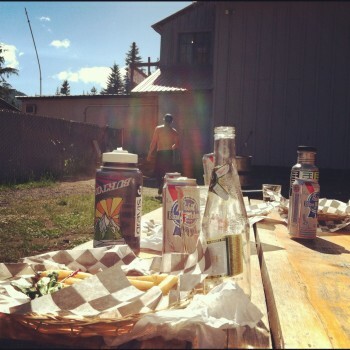 Join us next year for summer turns in mid July. The “Swan” was fully branded by the plastic goose roof ornament. 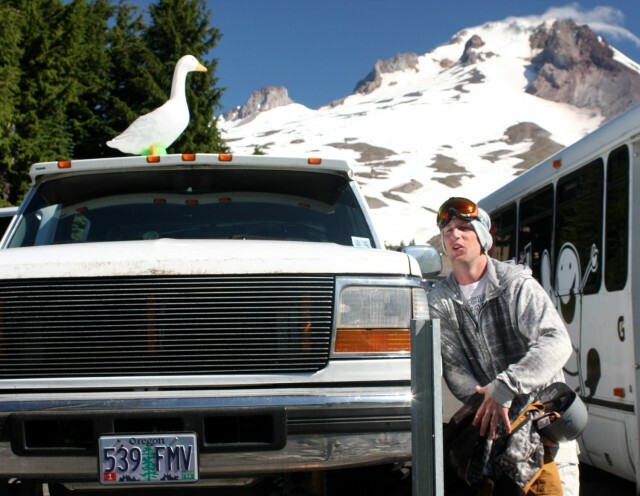 The goose was a real head-turner in the parking lot.